Lawrence Osborne has been compared to Graham Greene, but apart from their both having lived in various exotic locales (including, in Osborne’s case, a stint as a reporter on the California-Mexico border a few decades back, which gives him street cred for the novel’s locale), and having an abiding interest in how the outsider in a foreign country can be drawn into the cultural conspiracy of that place, there is a difference. Greene was motivated by concepts of good and evil that rode in on the tide of his conversion to Catholicism, ebbing and flowing as the years passed, with it the colder currents of doubt; Osborne, on the other hand, strikes me as a deeply secular writer, more interested in characters who find themselves in places other than home, whose innocence is dented and sometimes crushed by their new surroundings, customs, and beliefs until they are consumed by a culture they had barely come to comprehend. So in taking on the opportunity to create a new story for the iconic Philip Marlowe he is working well within his own tradition. The detective still has a head full of all the smartest metaphors as he walks a whole new grid of mean streets where, as he puts it, “even the old language has disappeared…. A hotel room in Anaheim in 1957; another in Sacramento, maybe the late 1940s. The sound of jukeboxes and dive bars next door and characters long dead are suddenly alive again and chattering in my ear. Guys with names that people don’t have any more. A Malone, a Sam Something there, a Max over there by the window. A Lipschultz dead in his casino office.” A whole new world for Philip Marlowe. New as in old, that is. Bienvenidos a Mexico. We know Marlowe’s voice because we’ve heard it before, coming from the lips of Humphrey Bogart in a plot scrambled like eggs for a Sunday breakfast for ten convicts in The Big Sleep, but Bogie nailed it for generations to come. Though other actors have taken a shot at it, it’s Elliot Gould’s loose-limbed, jazzed-up, eminently-watchable performance in Robert Altman’s The Long Goodbye that reenergized and redefined the role with a whole new bag of tics and wisecracks. 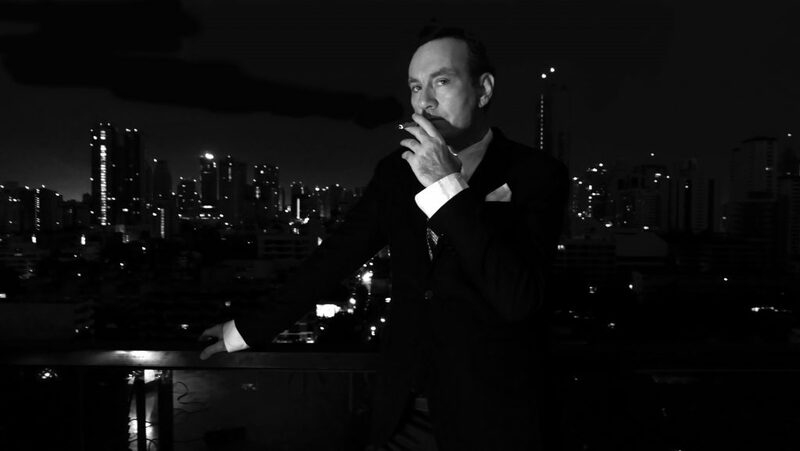 Marlowe’s is the voice of a man who wishes to be a moral force of one, filtered through the acid eye of an L.A. cynic. Los Angeles. City of Light. City of Angels, city of Demons. A place where people vanish, either at the hands of others, or on their own volition, fleeing into the hinterlands east of the city or to the scrublands on the margins of the San Fernando Valley. L.A.’s a place where people come to lose themselves and find a new face, a new name, a sizzling new future. Maybe. Just not always. And you can take that to the bank, sweetheart. Now seventy-two and creeping his inexorable way towards whatever might lie beyond in numerals or otherwise, Marlowe in Only to Sleep has been drawn out of retirement for all the best reasons, ones faithful Chandler readers will recognize: Donald Zinn, a year younger than Marlowe and married to a woman half his age, goes for a swim one night in a cove. His body is recovered and cremated, sizzling into ash perhaps a bit too precipitously. Naturally, the insurance company wants to be sure there was no funny business in the whole matter. After all, a suicide or a death incurred during the course of a crime would fundamentally alter the liability payments to the grieving widow. And whose body was actually cremated…? Sure, you can go to L.A. to disappear, but Osborne’s Marlowe knows better; it’s in Mexico where you can get good and lost. Maybe even forever. It’s a rather dull life, Philip Marlowe’s, at least these days. Now drowsing in the heat of a Mexican summer, relying on the aide of a silver-tipped cane hiding a lethal Japanese blade. “You have your books and your movies, your daydreams and your moments in the sun, but none of these can save you any more than irony can.” He takes the job and heads north to San Diego to meet the dead man’s widow, Dolores Araya, who still runs the resort they’d created in the desert. There’s always a dame in a Marlowe novel, isn’t there. This one’s a treat. Especially as she’s one half of an insurance scam. Anyone who writes their version of a character and a world already created by someone else works at a disadvantage. For one, it’s not your world and definitely not your character. 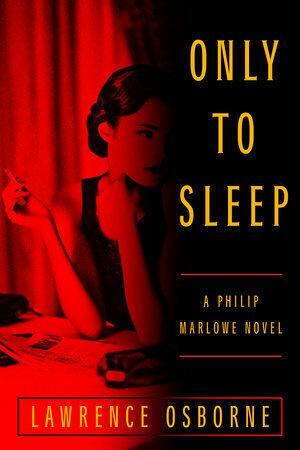 But what Lawrence Osborne has done here is to reimagine Philip Marlowe in a world that he knows all too well. His novels have always been about Abroad. It’s enticed writers from the nineteenth century Romantic movement to D. H. Lawrence, Graham Greene, Evelyn Waugh, and many of the great British travel writers. Not to mention American expatriate Henry James, for whom abroad was in some ways like Osborne’s: a place to which people are drawn, a place in which people are lost to their fate. Or to the fates of others. In such novels as The Forgiven, Hunters in the Dark, and Beautiful Animals, Osborne is a subtle observer not just of the displaced, the adrift, the relocated, the men and women who either adapt to their new culture or fall under its spell, before ending up as prey to the shimmery airborne forces of its gods and demons, its customs and secrets, its thieves and killers. But Marlowe isn’t lost in Mexico. He knows his way around. Where he is unanchored is in his age. Always laconic, forever a man who could talk his way out messes and charm a witness (or, indeed, a suspect), he seems now less sure of himself. The 1990s setting of the novel is a very different world from his salad days when he worked L.A. and environs with his wit and, sometimes, his pistol. I relished the details of this novel that could have only come from someone who had lived there, and lived deeply, who understands what foreign really means. He has taken a Chandlerian plot, filtered it through the mind of an autumnal Philip Marlowe, and given us a story that haunts in its details, its corners, its shadows and in its ghosts. At night they all come back, the clients I once had in their magnificent houses just as they were in 1940 or 1952. The whiskey flows, the banter is sharp and sexually compressed, and sunlight pours over majestic lawns and driveways.